1.5 Miles away form Reno/Tahoe International Airport. 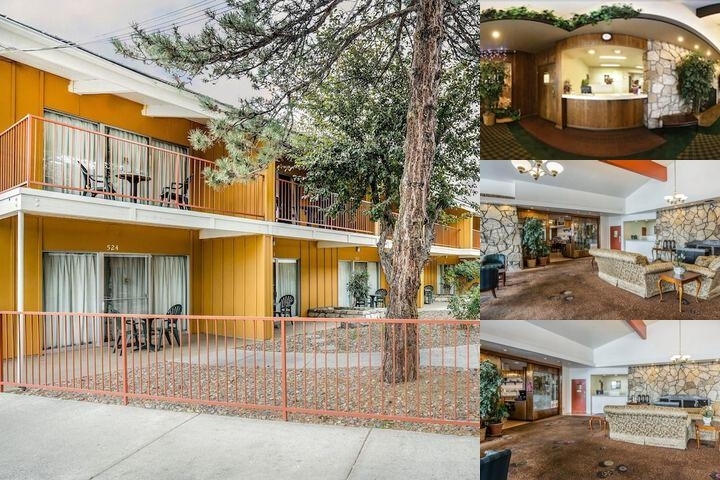 1.25 Miles away from Spark-Reno Convention Center. 1.4 Miles away from downtown Reno. This Hotel is in the center of every attraction that brings people to Reno, except it is a Quiet area where guests will enjoy peace and rest. Hotel offers a heated outdoor pool that is secluded for privacy and tranquility. A complimentary hot breakfast and newspaper always welcomes guests in the morning. All rooms have either a balcony or a patio to sit and enjoy a cup of coffee or read a book. You can also do some work since every room is wired for high-speed Internet and the property has wireless in all public spaces. All rooms are equipped with refrigerators, coffee makers, irons and hair dryers. If your are in Reno for a few days, I recommend making a 40 minute ride to Lake Tahoe. You will enjoy the drive and can go there for a day trip. Reno/Tahoe Airport is less than 1.5 miles away stright down Plumb St.